The Arturo Fuente Work of Art is the first cigar I’ve tried from the Hemingway line. What a powerhouse in such a small vitola! This cigar is barely 4 inches in length. Showing skilled construction in the type of roll showed itself after the cigar has burned down about a quarter of an inch. 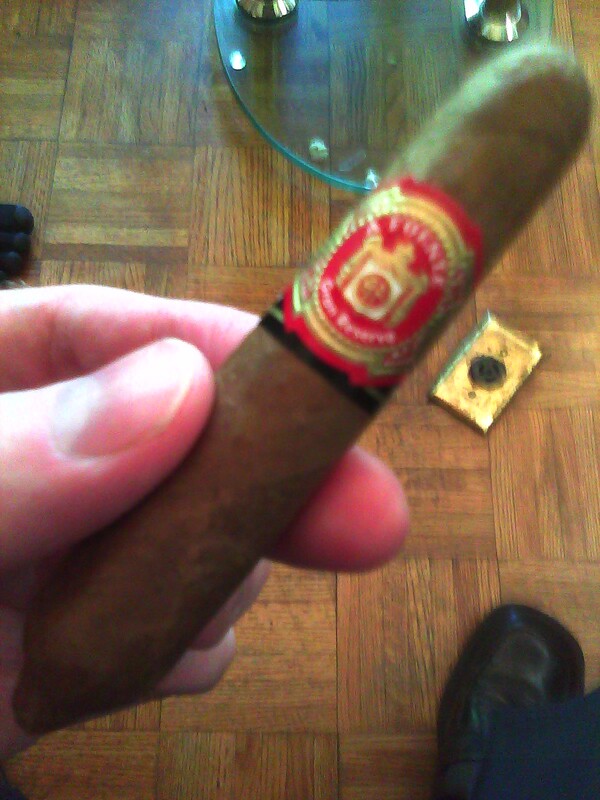 The taste starts off like any other Fuente Hemingway, sweetness from the Cameroon wrapper and Dominican binder/filler. The sweetness blends into a pine/cedar combination that’s rich yet not overpowering. A full finish leads to satisfaction for a half hour. The Hemingway line is the first of Fuente’s limited production run so score these if you can!